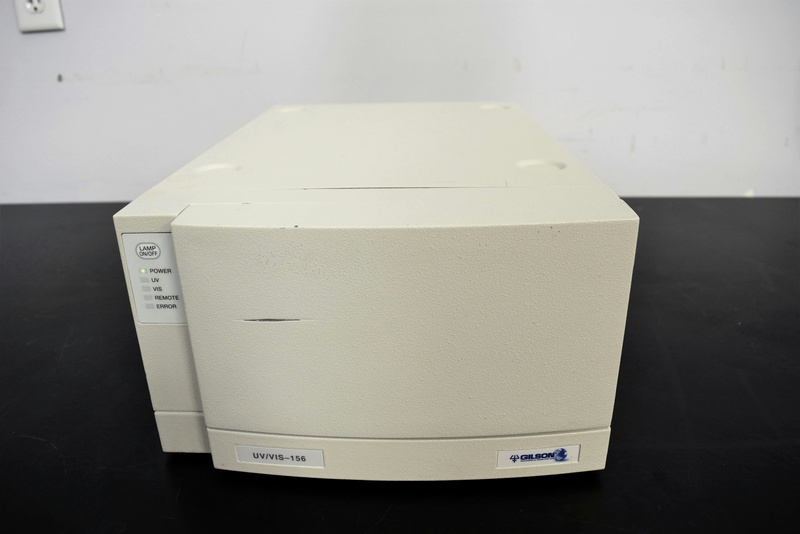 Gilson UV-VIS-156 Dual Wavelength Detector HPLC Analytical LC Chromatography . New Life Scientific, Inc. This detector is a microprocessor-controlled absorbance detector that provides dual wavelength detection. It also must be controlled via Trilution LC since it does not have an integral front panel display. The Gilson detector was confirmed to power on and appears to be internally complete. "The 156 UV/VIS is a dual wavelength detector that offers high sensitivity and baseline stability for HPLC applications, including fast LC methods. With its high speed scanning design dual wavelengths can be monitored simultaneously while acquiring spectral data."